Support preliminary Bluetooth v4.1 function and backward compatible with BT3.0, 2.0 and 1.2. 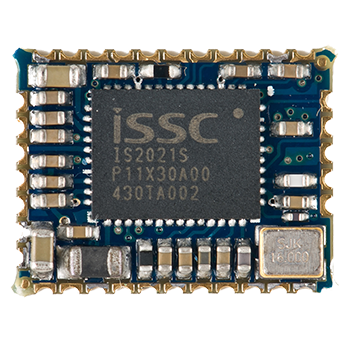 It incorporates Bluetooth 1M/2M/3Mbps RF, single-cycle MCU, MODEM, UART interface, and ISSC’s own Bluetooth software stack to achieve the required BT v4.1 with EDR functions . To provide the superior audio and voice quality, it also integrates a DSP co-processor, a PLL, and a CODEC dedicated for voice and audio applications. For voice, not only the basic CVSD encoding and decoding but also the enhanced noise reduction and echo cancellation are implemented by the built-in DSP to reach the better quality in the both sending and receiving sides. For enhanced audio applications, SBC and AAC (optional) decoding functions can be also carried out by DSP to satisfy Bluetooth A2DP requirements. 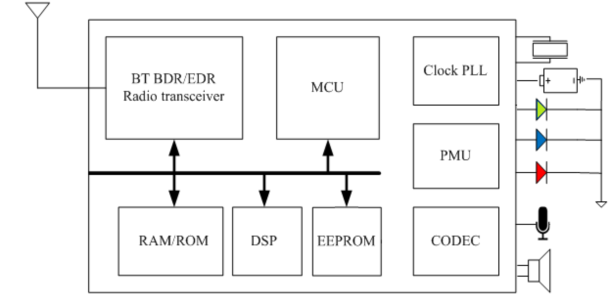 Minimize the external components required for portable devices, an EEPROM and a Power Management Unit including the battery voltage sensor, battery charger, switching regulator and LDOs are integrated to reduce BOM cost for various Bluetooth applications.